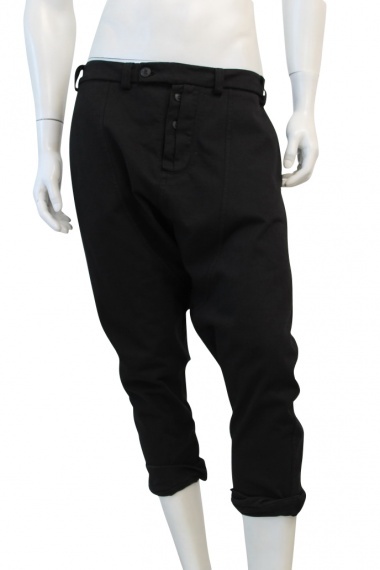 Pantalone cavallo basso 100% Cotton by JAMES 0706 - Clothing Men Pants On Sale. Trousers in gritty lightweight sweatshirt cotton. Low crotch. Background with buttons. Hip pockets, welt behind. Soft fit, low waist, narrow at the bottom.